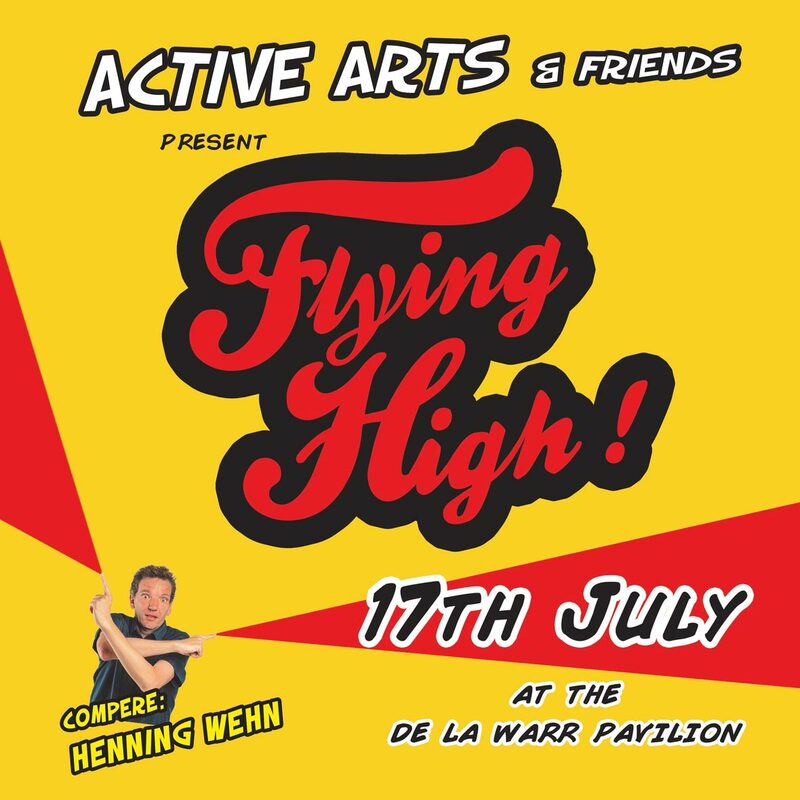 Active Arts presents Flying High! an evening of comedy, dance, musical theatre and animation. Our compere for the evening is The German Comedy Ambassador to the United Kingdom, Henning Wehn. Active Arts is a performing and visual arts course for adults with learning disabilities run by Hastings & Bexhill Mencap Society. Active Arts students are taught by professional artists and performers. Our magnificent end of year show gives students an opportunity to showcase their skills in the performing arts, with the visual arts groups providing back-drops and props for the sketches. Lively and energetic, the evening’s entertainment leaves audiences wanting more, and with a positive view of what people with a learning disability have to offer. Active Arts strives to raise the profile of artists and performers with a learning disability. Where possible we run our classes in community spaces and collaborate with other artists. The society depends on volunteers to help to run the clubs, charity shop and help on outings and with funding. If you can spare a couple of hours a week and would like to volunteer with us we would be very happy to hear from you, please contact us.